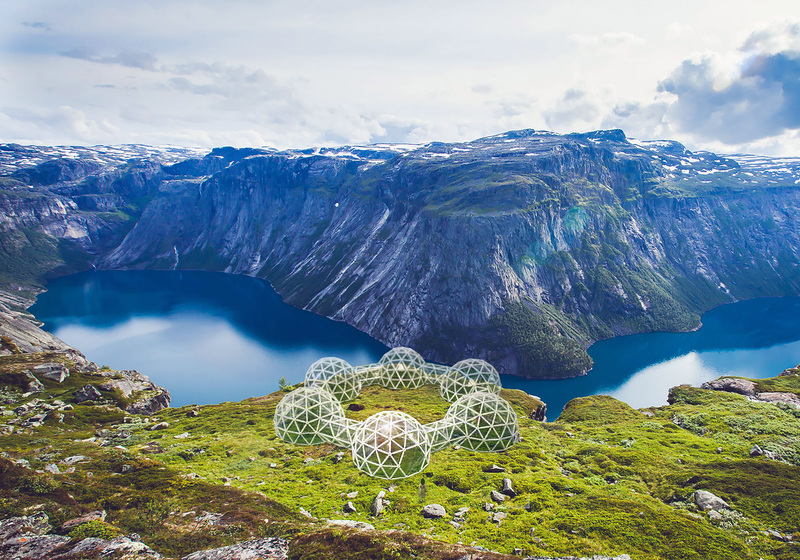 A series of domes containing pollution from cities around the world will be placed in the Norwegian city of Trondheim as part of an investigation by psychologists to ascertain whether art can really change people’s perception of climate change. Five interconnected geodesic domes will contain carefully mixed recipes emulating the relative presence of ozone, particulate matter, nitrogen dioxide, sulphur dioxide and carbon monoxide which pollute London, New Delhi, San Paolo and Beijing. Starting from a coastal location in Norway, the visitor will pass through increasingly polluted cells, from dry and cold locations to hot and humid. Whilst those in the developed world live in an environment with relatively clean air, people in countries such as China and India are being poisoned by the airborne toxins created from industries fulfilling orders from the West. The experience of walking through the pollution pods demonstrates that these worlds are interconnected and interdependent. The desire for ever cheaper goods is reflected in the ill-health of many people in world and in the ill-health of our planet as a whole. Within this installation we will be able to feel, taste and smell the toxic environments that are the norm for a huge swathe of the world’s population. Pollution Pods has been commissioned by NTNU as part of Climart a four-year research project that examines the underlying psychological mechanisms involved in both the production and reception of visual art using these findings in an attempt to unite the natural sciences to the visual arts. The project is funded by the Norwegian Research Council and is housed at the Norwegian University of Science and Technology (NTNU) in Trondheim, Norway. Pollution Pods will be shown as part of the STARMUS festival in Trondheim, Norway. The STARMUS festival is an international gathering focused on celebrating astronomy, space exploration, music and art. Scientists and astronomers including Stephen Hawking and Buzz Aldrin will be speaking as part of this festival. If you would like to attend the launch event please email here for more information.